September 3rd, 2015 by Roy W. Spencer, Ph. D.
NOTE: This is the fifth monthly update with our new Version 6.0 dataset. Differences versus the old Version 5.6 dataset are discussed here. The tropics continue warm with El Nino conditions there. The global image for August, 2015 should be available in the next several days here. This is the theory which will put an end to AGW nonsense and explains beyond a shadow of a doubt what is going on in the Arctic presently and what has occurred in the past. I am 100% on board with this ,and this in addition goes a VERY long way in reconciling abrupt climatic changes in the N.H. called Dansgaard -Oeschger Events while showing how wrong AGW theory’s explanation is for what is happening in the Arctic currently. When this is combined with Milankovitch Cycles, Geo Magnetic Strength, Land /Ocean arrangements for the bigger climatic picture with Solar Variability superimposed upon this and further refinement from volcanic activity , ENSO ,AMO and PDO the correct track as to why/how the climate changes, is this line of reasoning far and away and will be proven to be so in the very near future. Keeping in mind the possibility of a random super volcanic or terrestrial impact always a threat to turn the climate system upside down which has occurred in the past and I dare say coud occur in the future. Hi David. They’re talking about you over Climate Audit. Steve McIntyre just posted on your 36 hockey sticks. Pretty interesting. Seems that very few of your so-called hockey sticks have a HS shape. How about that. The “theory which will put an end to AGW nonsense” is the one which proves wrong what is said in this comment. IT DOES NOT REQUIRE “GREENHOUSE GASES” FOR A “LAPSE RATE” (TEMPERATURE GRADIENT) TO FORM BECAUSE THE SECOND LAW PROCESS OF ENTROPY MAXIMIZATION FORMS THAT GRADIENT AT THE MOLECULAR LEVEL EVEN IN PURE NITROGEN, OXYGEN AND ARGON. If one goes back to the Holocene Optimum the question is how fast is the earth cooling? Since the Holocene Optimum 8000 years ago the earth has been in a gradual overall cooling trend which has continued up to today punctuated by spikes of warmth such as the Roman ,Medieval and Modern warm periods. The main drives of this are Milankovitch Cycles which were more favorable for warmer conditions 8000 years ago in contrast to today , with prolonged periods of active and minimum solar activity superimposed upon this slow gradual cooling trend giving the spikes of warmth I referred to in the above and also periods of cold such as the Little Ice Age. Further refinement to the climate coming from ENSO, volcanic activity , the phase of the PDO/AMO but these are temporary earth intrinsic climatic factors superimposed upon the general broader climatic trend. All the warming the article refers to which has happened since the end of the Little Ice Age, is just a spike of relative warmth within the still overall cooling trend due to the big pick up in solar activity from the period 1840-2005 versus the period 1275-1840. Post 2005 solar activity has returned to minimum conditions and I suspect the overall cooling global temperature trend which as been in progress for the past 8000 years ago will exert itself once again. You may very well be right, though I believe it would be prudent to see how the rest of this decade plays out, temperature wise, that is. Sorry, but WFT is, as I usually find it to be, out-of-date. The RSS trend since mid-2005 (6/05) is +0.03 C/decade, but the interval is too short to lead to statistically significant result. It’s ridiculous to try and infer anything about climate change from trends starting just 10 years ago. What is ridiculous is to infer AGW from a 20 year warming trend (circa 1980-2000) that was caused by increased insolation. I agree, 20-year trends say nothing about climate change, but about natural variability. But the warming then wasn’t about solar irradiance changes. And, typically, you offered no science to back up your claim. Do you need help finding the data on solar irradiance? Yet the IPCC was happy to declare 95% confidence in that warming trend from cira 1980-2000. So we all agree they were activist political hacks making it up as they went along? Good. What I find bemusing is how some people believe man, through his actions or inactions, is responsible for the state of the natural world. Not so long ago sacrifices were made to the gods to alleviate drought or whatever – humans were blamed for making the gods mad, who punished us for our misbehaviors by causing bad weather/climate. Our only recourse was to sacrifice to the gods, making them happy with us, so they would change the weather to something more favorable. The scare mongers of today submit that man is responsible for the possibility of CAGW and so must be punished by taking away his industrial ability. This is to satisfy the gods of those who believe man is inherently evil. So today, science becomes subservient to the emotional/political aspects of the power structure and, in order for those who wish to continue getting their sustenance from those who dole out the grants, must conform their utterances to the dictated form. Those who try to continue actual science are ostracized, belittled and demeaned – why, for doing science – NO – for opposing the emotional beliefs of those they oppose. Thus, in the field of climate/weather study/observation we find that emotional man continues his attempted control of the people. Who will be sacrificed next – raise the price of electricity – sacrifice the poor. I noticed that it was much hotter last month. Could we sacrifice soon? David; will you volunteer to go first? You’re a true believer aren’t you? It’s also ridiculous to infer global warming from a 40+ year warming trend (circa 1974-2015). David, you seem to be confused about solar irradiance and insolation. There’s a big difference. Internet sources will explain it for you. But I advise that you not use the U of Colorado. Oh, I forgot, you don’t do internet. Well, take my word for it, there’s a _big_ difference. 3. There is more than irradiance to the sun’s impact on Earth’s climate. Basically your lack of sun forcing arguement is a strawman… there is so much data backing a strong solar component. Its not all TSI, its not that simple. Just like Salvatore points out by citing a good review… its a complex system. Mr. Appell, could you show me where you found the newer data from RSS is found? The newest I can find is version 3.3, which is what WFT uses. Both cycles were going up until about 1998-2003. Now the 60 year one is declining until at least 2028, but the ~1,000 year one will still rise for up to about 100 years, maybe peaking in the 2030’s though. Carbon dioxide has absolutely nothing to do with it. Greenhouse gases (mostly water vapor and a dash of CO2) water down the temperature gradient (making it less steep) and they do this by way of inter-molecular radiation which, as every engineer knows, has a temperature leveling effect. That effect works against the gravitationally induced temperature gradient. The latter is a direct result of the force of gravity acting upon molecules moving between collisions. The Second Law tells us entropy will tend towards a maximum – it does not say anything about temperature, because entropy is far more embracing of all kinds of internal energy, including gravitational potential energy, whereas temperature is proportional to molecular kinetic energy, nothing else. Modern day experiments with centrifugal force have proved that Josef Loschmidt was right about a force field like gravity producing a temperature gradient. Robert Brown tried to help Anthony refute this with a pathetic article that I have refuted on the “WUWT errors” page of my website climate-change-theory dot com and Brown is clearly proven wrong by the experiments and evidence in all planetary tropospheres, with or without surfaces at their base. So the “lapse rate” is not formed by rising “parcels” of air molecules. Indeed, such “parcels” (and all the Stephen Wilde nonsense) are complete figments of the imagination with nothing to stop molecules moving outside their imaginary boundaries. The gravitationally induced temperature gradient is the reason why air is cooler at higher altitudes in the troposphere. The tropopause and stratosphere do not refute this, because they are in hydrostatic equilibrium (not thermodynamic equilibrium) due to the excessive absorption of solar energy some of which makes its way downwards from the stratosphere to the troposphere through the “temperature valley” of the tropopause. Until you all come to grips with what the Second Law entropy maximization tells us, you will understand nothing about planetary temperatures. Did you mean beta3? Do you have the new rankings of all years and anomalies based on the new beta3? Thank you in advance! Note that there is a significant increase in temperature anomalies in October and November in the last two years, especially over land. The beta3 global land temperature on October 2014 is 0.09 C greater than the beta2 temperature. The 2014 average temperature is only 0.02 C greater in beta3 than in beta2. What was corrected to cause this change? Thank you very much! It is good to know that any change of more than 0.01 occurred since 2008. Given that UAH now covers the entire global surface (nice), while RSS excluses 0.9% at the N Pole and 6.9% at the S Pole, about how much disagreement between the two is reasonable (or unreasonable)? most of the disagreement isn’t from that, but from different diurnal cycle adjustments, satellites used, and satellite merging strategies. When you give the limit of 20 N for the tropics, does that mean the atmosphere in a conic section whose edge is from the Earth’s center out through the 20 N circle (viz. radially outward), or does it mean the edge is projected out parallel to the plane of the 20 N circle? These two would have signficantly different volumes. The former…but it really wouldn’t matter because the volumes would be virtually the same since the altitude of the center of the measurement is only about 5 km or so, so the difference would be about ~1 km out of 2,222 km. A single satellite measurement is at least 50 km in diameter. Yes, I get that now — these heights in the atmosphere are << radius of the Earth. Thanks. July 2015 was reported elsewhere to be the hottest month in recorded history. How is that reconciled with the UAH V6.0 Global Temperature record, which dramatically shows 1998 had a much higher temperature? I’m sure the thermometer dataset guys don’t think it’s BS. Hard to say what the politicians think. Dr. S., ever thought about giving appell the cotton treatment? As for the thermometer dataset guys you may be correct, but what about the modelers and others involved in adjusting the datasets and preparing the graphs for for public dissemination and consumption? UAH just recently went through an adjustment that was far larger than that of NOAA. Are you even aware of that? How would you correct for the factors they are adjusting for, John? NOAA obtains spurious results by such methods as using the dubious SST records of ship’s engine intakes, which data is notoriously biased high. There are lots of ways to fix results. As I have stated on a previous thread, data fabrication has become the preoccupation of many AGW types. They are as busy fiddling with and fixing data as an infestation of termites are busy chewing wood. “UAH just recently went through an adjustment that was far larger than that of NOAA. This despite the apparent fact that the exact opposite appears to have occurred. Why do the factors need to be made “correct?” Observation not trustworthy? Can we believe our lying eyes through the rose colored glasses of climate expectations? What factors need to be corrected and why? Were the measurements made improperly? Or just routine inaccuracies and assumptions made in the initial effort to observe the phenomenon? The University of Colorado adjusts sea levels higher because they claim the oceans expand over time. Do you believe them? Have you or they measured the ocean basins directly over the entire Earth to be sure? You should know by now my questions are sometimes rhetorical. In short what is it about empirical observation that troubles you? Wrong John. Look at Figure 2b in Karl et al Science 2015. It clearly shows that their corrections reduce the long-term warming trend. I have seen your name commenting on this site for some months. Are you seriously telling me you have no idea why raw temperature data need to be adjusted? That you have no idea what biases are present and how people have proposed to deal with them? That you’re opining on this subject yet don’t have the most basic knowledge of what experts in the field are doing — but, whatever, you’re sure it is all wrong? That you haven’t tried to educate yourself? Your statements seem further and further divorced from observation. When did I say that David’? As I mentioned directly to you I have discussed the UAH adjustments on this site including the reasons Roy has given for making them including satellite orbital drift. In addition, I discussed what adjustment Roy made to the data to supposedly correct for it. As to your complaint about “experts in the field” and that I supposedly don’t know what they’re doing but I supposedly know they’re all wrong. 1. Please provide a quote where I mentioned vaguely experts in the field. In fact, I specifically brought up an article about NOAA and referenced University of Colorado sea surface data. 2. Please provide a quote where I claimed they’re all wrong. You won’t find it, because I never made it. You did!!! In fact, while I do not take any data source as Gospel, and remain determinedly skeptical, I definitely do not believe all datasets are equally good or bad. If you wish to discuss specifics fine. A mind is only so good as the precision of it’s concepts and yours appears to be as sharp as a billiard ball. As to educating oneself, you better be clear that the claims you make have empirical support and not merely peer reviewed conformity to tradition or prejudice. As to the questions I asked, they prove all the more relevant. Why? They’re simply asked to inspire you to be specific about which data adjustments you seek to justify. Simply to assert a bromide that adjustments need to be made and imply we should trust academic institutions or others with such a task given their track record seems to me infantile at best. You’re joking right! Yes and that indefensible mischief destroyed NOAA’s credibility even among those prepared to give them the benefit of the doubt. At least the surface people have published their work in the scientific literature (Karl et al Science 2015). UAH hasn’t for v6…. Exhibit #1 of fabricated data. This is the study that has spawned a new word in Climate studies: Karlized. See my comment above. I’ve seen no objections to Karl et al in the scientific literature, or from scientists themselves. Which of those did I miss? Just curious, if someone did present objections to Karl et al in the scientific literature would you accept it if sourced to a peer review group un-be-knownst to you or scientists not of your bent?! Just asking? David: Google Karl et al,2015. I promise that you will find many competent scientists who have something to say about Karlized data. You didn’t Google — why should I? I’m not going on a wild goose chase on your say-so. If you have a point, link to it. For you David, if it is not fabricated AGW garbage, it is a wild goose that you ain’t gonna chase. Roy Spencer talks about the Karl paper on this very blog, several months ago. Go read that. Or screw your eyes shut and stick your fingers in your ears. Your choice. This dataset measures the temperature of (approximately) the lower 5 km of the atmosphere. The NCDC temperature refers to surface stations. The lower troposphere-average temperatures respond more strongly to ENSO (with a several-month lag), so the 1998 peak was more dramatic (0.7 K) in the MSU data than in surface station data (0.2 K), so naturally they have different rankings. It will be interesting to see how warm the MSU temperatures get in January, when the peak ENSO signal should be apparent. because all datasets measure surface temperature. The hottest July claim derives not from land temperatures but from higher SSTs, due as Dr. Spencer notes to the El Nino and Blob. Actually not. July 2015 was the 3rd highest land temperature ever for that month, and June 2015 was the warmest ever. Only if one ignores the paleo record – as you do with your outspoken and well-known support for the “Hockey Stick”. NCDC temperature data is manipulated and I ignore it 100%. I do not even give it consideration. All complex datasets are manipulated. UAH data is manipulated (ever notice it has a version number). They have to be to correct for a myriad of discrepancies. You can’t just ignore a dataset because it doesn’t correspond with your beliefs; it has to be considered in comparison with all similar datasets. So many assumptions go into this short but dubious statement one wonders where to begin. What discrepancies? What datasets do you for unknown reasons believe must another dataset be made to conform to? You’re of course half correct that you SHOULDN’T just ignore a dataset because it doesn’t correspond with your beliefs or any other persons beliefs either, but that is exactly what you believe should be done when you seek to make one dataset conform to another!!! Especially since the objectivity of all datasets should be open to question. A dataset should only be considered in comparison with all similar datasets to discover if any significant discrepancy points to an observed error in measurement, procedure or other actions taken to measure a phenomenon. One should never compare datasets with the object in view of making them agree, since all the other datasets you may seek to compare with could be WRONG!!! Btw, datasets often do not get adjusted for the reasons you assert. As I mentioned to David Appell, the University of Colorado adjusts sea levels (higher) because they assume the ocean basins grow over time. Do you believe them? Have you or they actually measured the Earth’s ocean basins yourselves? We have a pretty good idea what the answer to both questions is don’t we? Slipstick, John is right about the University of Colorado fabricating sea level data. Like he says, they invent ocean basin expansion and then record the expansion as a SL rise. No measurements at all, but pure fabrication; a pea shell game. So you think ocean basins aren’t expanding? Geologists who measure the movement of tectonic plates would hardily disagree. It doesn’t matter what mpainter thinks, or you or I for that matter. Unless the Earth’s ocean basins are directly measured over time it remains speculation and not fact. Therefore no scientific merit should be given to it. That is of course assuming one honestly seeks a scientific answer. As to measurement of tectonic movement, that would constitute only the smallest of relevance and have no direct bearing. Btw, you better be sure your tectonic data assembly reflects something resembling a complete picture. For example, in the South China Seas Baby Krakatau has been growing slowly for over a century now and thus shrinking the basin in that region. Moreover every tectonic mutation causes many ancillary mutations the extent of which know one knows. To alter observed measurements based on assumptions and guesses then to pass it off as real data seems worse than a pea-she’ll game. Why, some might call it fraud or if their kind delusion. Unfortunately, in today’s vernacular it passes somehow as knowledge (hah!). What kind or morons are running the show at The University of Colorado? They are simply not doing their job which is to measure the true elevation of sea level. The issue is if you are measuring sea level rise the only measurement you’re interested in is this: how fast is the ocean rising above sea level? If you introduce “adjustments” that accelerate the trend but do not alter the actual rise above sea level trend, you’re playing games. Dumb games. Do you like pea shell games? Ocean basin expansion would make sea level fall. But not when the data fabricators do the math. They magically make sea level rise. David Appell likes fabrication, can’t get enough of it. Also, the hypothetical expansion is not based on plate tectonics, David. The U of Colorado uses isostasy. Go read up, David. It’s on the internet. Oh, I forgot. You don’t do internet. Well, you’ll just have take my word for it. Have YOU ever measured them? Have YOU ever taken UAH’s raw microwave data and performed your own data analysis on it to get temperatures? Have you analyzed your own drinking water? What are the ground-level ozone levels where you live on a hot day? The PM2.5 in the last city you visited? Do you take pH values of the oceans in order to compare to the values you read in the scientific literature? How do you know the corn you ate tonight wasn’t accidently sprayed with a dangerous chemical? Didn’t you check for that? Seriously David! That’s the best you can do? Have I put out any data claiming to have measured any of the values you mentioned? Am I a College or University claiming to provide actual measurements of the same? Have I altered measurements based on unproven assumptions and called the resulting detritus mess scientific data? Provide me the same research money as the University of Colorado and I will endeavor to provide sea level measurements and make sea level adjustments free of speculation and fantasy! It might even be a first of it’s kind this century! In any case, don’t worry about a thing. Spend quality time with your cat. Frankly, David whatever you may think you know about the data sources you introduce is taken for the most part on faith in the people providing the information. As you illustrated above actual empirical knowledge remains low. For the general dregs of humanity (especially academic institutions the best policy remains nulias en verba. Thus David Appell justifies the data fabricators. Has anyone, including scientists? How could anyone measure with any precision any parameters of oceans that cover 72% of the planet’s surface and vary in height up to 100 feet in a chaotic manner. The measuring stick for CO2 is located on a mountain in the Tropics that is out-gassing CO2. Not only that, the warm oceans surrounding the island on which the mountain is located is out-gassing CO2. Do you think it was placed there by accident? If you have a cockamamey story about CO2, and you wanted to exaggerate atmospheric concentrations of the same, where would you place the instrument? Where else, on a mountain that out-gases CO2 surrounded by an ocean that out-gases CO2. And no, Slipstick, UAH data is not manipulated. You are way out of bounds with that statement. It appears that you apply some distinction between “correction” and “manipulation”, and assign a nefarious implication to latter, which I do not, in that, those datasets which conform to your beliefs are “corrected” while those that do not are “manipulated”. To my mind, all measurements which have numerous and/or substantial corrections applied are suspect and must be compared with similar or complementary data to determine validity. Slipstick. Ya gotta thermometer? Do ya read it in the morning? How many data corrections do you apply to the reading before yer happy with the result? Then hopefully you are not sanctioning the garbage from NOAA and NASA. Satellite data needs to be adjusted somewhat due to orbital variations and other factors. However, the sats cover 95% of the surface whereas surface stations cover only 30% at best. At least, they used to cover about 30%. That was when they had about 5000 surface stations globally. Recently, NOAA has slashed 4000 reporting stations from the database and they use climate models to interpolate and homogenize the data to fill in the missing 4000 stations. If you approve of such chicanery there’s no point debating this with you. The sat data is adjusted using integrity. NASA and the American Meterological Society awarded Roy Spencer and John Christy of UAH medals for excellence for the work they have done on the data sets. Salvatore: How would you correct for the biases NCDC is correcting for? By the way, Salvatore, are you aware the adjustments made by NOAA *lower* the long-term warming trend? If you examine the data carefully you will see that there is no “long-term warming trend”. If you examine the data carefully. So show the data and analysis that shows no long-term warming trend. My prediction: as usual, you can’t. See UAH Global Temperature Update for August, 2015. If he did would you admit it? Or wait for NOAA or someone else to adjust it away? UAH shows a long-term warming trend. So what data are you looking at? Two flat trends joined by a step-up at 2000-2002. Look carefully. No, not a piecewise trend, a long-term trend. Over the 30+ years the WMO suggests for considerations of climate change. And you claim that it was CO2. But actually it was reduced cloud albedo, globally, as shown per McLean, 2014. Have you read it? And in fact, there is no thirty year trend. The adjustments made by NOAA make it look falsely that the temperature trend in recent times is still on the rise when the reality is the temperature trend since 1998 has been steady. They are trying to do away with the pause. In addition the globe since the Holocene Optimum has been in an overall cooling trend up to today is that a long enough time period for you David? NCDC’S global temperature coverage of actual global temperatures is NOT ADEQUATE, the satellite coverage is much more extensive and gives a more accurate picture of what is going on. In addition NCDC’S data is manipulated to make it look warmer then what it really is. It’s part of the 50-year long global conspiracy to manipulate temperature data to make us think there is global warming. I see WX. BELL global anomaly for Aug was +.27c in line with satellite data. It’s a shame that old fourth order polynomial line that Dr. Roy used to show on the chart “just for fun” disappeared a while back. If you plot it now, the comforting sine wave that it used to display, showing temperature heading back down, is gone. Now, it dips a little at the start, then rises monotonically from 1983 to 2015, flattening out (but still rising) after 2000, then accelerating upwards again from 2011 onwards. It was bound to happen eventually, as the sine wave effect was clearly mainly caused by the big El Nino in 1998. Cynical old me thinks Dr. Roy removed it because he knew it would inevitably turn up at the end eventually (he knows the world is going to carry on warming as long as we keep on pumping vast quantities of CO2 into the atmosphere), and it would no longer be as much “fun” to look at it when it did. It took longer than I (and possibly Dr. Roy too) expected for it to happen, but it had indeed now happened. Nigel, cynical old me thinks that you are really getting desperate. Why not do as your comrades and manufacture data? You will earn plaudits as a hero. fonz: what is the source for your 60% number? When I’ve looked at the data on this, I find that it’s more like 55%, with no trend. I don’t know of any science that says nature’s CO2 emissions are anything near to man’s, or even anything other than a small fraction of that. Yes, it is more like 55%, BUT with a trend; it was closer to 40% around the turn of the millenium. Yes, but the point is, natural flows used to be pretty much in balance. We’re pumping CO2 into the atmosphere, and nature is responding by removing it – into the sea, mostly – but it isn’t removing all of it. So CO2 is still rising and will continue to do so as long as we continue burning through billions of tonnes of fossil fuels each year. There’s no real doubt about the figures either. We know pretty well how much fossil fuels we burn – 8 billion tonnes of coal, 4 billion tonnes of oil, 3 billion oil equivalent tonnes of natural gas in 2014. And we know how much CO2 that puts into the atmosphere. Measurements show atmospheric CO2 increasing by around 45% of the amount that we’re pumping in, so 55% is being taken out; mainly through ocean acidification. Nigel, save the planet, burn more fossil fuels. The 3 trillion trees are starving! What wrong with adding CO2 to the atmosphere? That compound is the utmost basis of life, the more, the better. Already plants are responding favorably to increased atmospheric CO2 levels: the Sahel is greening, other arid regions are, likewise. From the tropics to the tundra vegetation has benefited, and that of course means all biota have benefited. Do not pay any regard to the alarmists, who would have you believe that CO2 is toxic. For instance, David Appell says “The poison is in the dose”. Note how he uses the word _poison_. Do you believe that CO2 is really poison, Nigel? Nigel, lets start with your basic assumption, “natural flows used to be pretty much in balance” (which i think is a good one). Why then is it out of balance? It’s because (as the above plot shows) temperature is out of balance. Carbon growth tracks lock step with temperature NOT human emissions. There’s no real reason that the rise couldn’t be largely natural with nature taking out close to 100% of the anthropogenic source. True to your form, you invent a bunch of data and then ascribe your invention to Dr. Spencer. Thank you for this imperishable demonstration of fabrication on your part. It showed the world ending (T< 0 K) in 2170 AD. You did not apply to UAH data. That stopped…where, Davd? My post clearly shows what I did, and the data I applied it to. It was the same data Roy used for his fit. Of course it was. I’m glad Dr. Roy removed that “just for fun” polynomial. This is a serious blog. I have updated your graphic in my climate and meteorology pages. Mr Hyde, as in hide your identity. Appell has confessed that he utilizes false identities to blog with. For example, Nigel Harris could be such a construct. 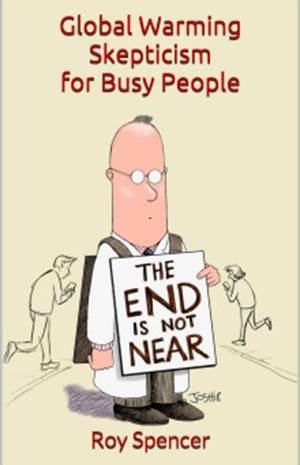 It is a tactic that David admits to employing on WUWT, Bishop Hill, and this blog. So Nigel, we are alive to the possibility that you is David Appell. You will have to change cunning ham to clever bacon. Get it? Ha ha? Not surprised to find you and Cunningham share the same body. Which side of the brain do you reside in? P.S. – For the record, I’m not David Appell nor wish to be. In fact I have an allergy to cat hair and CAGW paranoia (Aaaah! – Chooo…). This blogsite must hsve some around! If I respond to his posts it should be obvious that he provides the greatest opportunity to clarify the numerous instances where CAGW paranoia and the facts conflict. This principle covers all of us including David Appell. Note William James used the term “craving”, not simply a desire. We all recognize cheap flattery but seek real recognition of value from others. David proves to be human in this regard. The problem doesn’t reside in such a desire or even stronger craving, but merely in the method of fulfilling the desire. As you note he seems to fancy himself in a battle to save the human race from carbo-loading the atmosphere, or at least that’s the public persona he seeks to be known by. To be fair there must be limits to all directionally increasing human impact on the environment including increasing atmospheric CO2. The problem relies in the belief he appears to hold that only he and a small cabal of scientifically educated elites can make this happen. That the chaotic humans (plebs/serfs/slaves, etc.) cannot accomplish anything without the CONTROL of their betters (uber men), whether or not their supposed betters have empirically shown any ability to solve such problems themselves. David Appell as super citizen and planetary Eco warrior may seek your carbon neutral (or more likely eventually carbon free) earth resource utilization compliance with or without your consent. The problem for the POTENTIAL Econazi remains that without the COOPERATION of the planet’s 7odd billion people he cannot in fact enslave them, fulfill his eco-mandate and live up to his apparent self image. What to do? The purpose of deception including Eco-fraud in my opinion is to trick otherwise rational self interested people to VOLUNTARILY renounce their minds. To give up their claims to and enjoyment of the Earth’s resources in favor of a small elite or cabal that supposedly knows better than anyone else how they should employ the natural resources at their disposal for the improvement of all. In short the basis of every failed tyrrany the Earth has ever experienced. Another thought provoking post! I like these types of posts, gets one to think deeply about the issue. Thanks. An equally strange thing about AGW science cranks is they don’t know the science. From Arrhenius until now that science has postulated that an increasing atmospheric concentration of CO2, acting alone, is insignificant in its effect on global temperature. The necessary AGW science postulate for significant global warming, due to that increasing atmospheric CO2 concentration is for it to evaporate water from the ocean so that it increases the atmospheric concentration of water vapour. Sometimes referred to as a positive feedback. Without that positive feedback it’s goodbye CAGW. Of course what the cranks, along with everyone else, are not sure about at this time is whether that vital postulate for significant AGW global warming is valid. There seems to be some observations, including the last few decades where there has been no significant global warming, to indicate that “positive feedback” probably is not occurring. And that’s the state of the science. Over here in Australia the cranks, including some of the more rabid climate scientists rave on about “carbon pollution”. Well that’s not in the science either. What the science tells us is that it is CO2 that it is interested in (a colourless, odourless and vital to all life on our planet gas). But far from getting carried away, as the cranks do, with the billions of tonnes of the stuff we humans are putting up there it tells us that when it comes to increasing the atmospheric concentration of CO2 there is a law of diminishing returns in play. What? Yep the science postulates that the relationship between an increasing concentration of atmospheric CO2 and rising global temperature is logarithmically related in the following form (Tb–Ta) = k ln(CO2b/CO2a). So the more you put up there the less its unit effect on global temperature. That reality about the settled science fools not only the cranks but most of the Pagan alarmist scientists as well, who in our country have taken to reducing (homogenizing) older land temperature records way back to the 19 Century (performed by our Bureau of Meteorology) because they want it to fit into their flawed understanding of the(C)AGW science. The reason it is incorrect is because the whole radiative forcing conjecture is wrong in the first place. Use your Stefan Boltzmann calculator to confirm that mean solar radiation of 168W/m^2 reaching Earth’s surface cannot explain a mean surface temperature above -40°C. So your little formula for rising temperature completely ignores the fact that the Sun can’t raise the surface temperature to what it is (on average) in the first place. So it’s not about radiation from carbon dioxide slowing the component of surface cooling that is by radiation: it’s about the effect of gravity on the supporting surface temperature, and why the surface is warmer than the planet’s radiating temperature. I am limiting myself to three comments per thread, so that’s all for this one folks. There is a fair amount of uncertainty, but it seems quite certain that continued CO2 emission can not warm the Earth by as much as 2 C within a century. Or say 3 C within a few centuries. It also seems likely that the pause will continue for many years to come. Also the political reality is that nothing has been done to reduce CO2 by politicians, though technological advancements had been somewhat effective in increasing energy efficiency- a process which has continued for centuries. The politicians have imposed unneeded costs for their citizens, and the citizen are responding by voting out these politicians out of office [worldwide]. Politicians still mention global warming, all are aware it’s not an issue that could gain them political support. But governments of the world being the creatures they are will probably continue to waste trillions of wealth until is become too painful for them to allow it to continue. And one can wonder what the next big scam will be. So basically you hold the belief that thousands of scientists worldwide (and just about every Science Institution worldwide) are “cranks” and “don’t know the science”. But you of course, do “know the science”. Oh, and there are “Pagan alarmist scientists too”. Interesting. As of today a fairly strong El NINO has been in progress, and my bet is the temperature spike if it should come will not get has high as the 1998 spike and the global temperatures post this El NINO , will be lower. Even with this strong El Nino in progress, the Warm PDO ,Neutral To Warm AMO, Minor Volcanic Activity, the Maximum Of Solar Cycle 24 being in place for the past 3 or 4 years, Arctic Sea Ice at low levels, and rising CO2 the global temperatures are failing to rise. Not to forget ocean heat content is tied to solar activity and that is gong to fall in time, in response to very low solar activity . What is going to be the global temperature response? Answer is down. By this statement do you mean the pH of the oceans is not decreasing, which, absent some compensating factor, is a physical impossibility with an increasing atmospheric CO2 concentration, or is this just another of your trivial semantic arguments? Slip, your confusion with physics has amused me. Now, you have moved on to chemistry! Get out your high school chemistry book and look up “buffer”, or “buffering”. Also, let me know when you know the exact pH of the oceans 30 years ago, and, of course, currently. Slipstick may need to be told explicitly that the “some compensating factor” is “buffering”, especially by the 33,000 gigatons of bicarbonate ions, which are in the sea as a result of weathering (erosion) of rocks on land. The (comparative) lack of buffers in freshwater is the reason that lakes can become affected by acid rain, while the ocean cannot. The range of pH in normal lakes is 6.5 to 8.5 while the range in sea water is 7.9 to 8.2 (There is no such thing as THE pH of the sea, but it IS always alkaline. A set of data of pH’s should always be reported as “a median and a range”, NEVER, EVER, as an arithmetic average. That is because of its mathematical nature as a negative logarithm). A good way of starting to think about “buffers” is as “chemical shock absorbers”. A more exact definition of a buffer is “something which bestows an ability to resist changes in pH”. In a complex soup like seawater, simultaeous equations in the concentrations of all active ions have to be solved. This is easy with a computer, as I think ‘dave’ pointed out a while ago. As was also pointed out, there is an habit of referring to the bicarbonate as “dissolved CO2,” which gives the wrong idea. Yes, but if the purpose is to scare people so they can be led to believe change, which will materially affect them negatively, must be made, then science be damned. What buffer has increased at a rate necessary to negate the effect of increasing atmospheric carbon dioxide on oceanic pH? In order to decrease ocean ph, you must first overcome the buffering effects. Do they now have you wringing your hands over ocean ph? How frightening your world must seem. “Acids and Bases” is the Pons Asinorum of physical chemistry. Your distinction is too subtle for me. A bridge, please. Slip, you just can’t stay off that slippery slope. Okay, assume the oceans are absorbing more CO2. Is that bad? Have you asked the phytoplankton their opinion? Have you queried all of the higher life forms, that depend on plankton? I think it is called the “food chain”. The ‘Pons Asinorum’ is a nickname given for the first difficult Theorem in Euclid’s “Elements” (Fifth Proposition of Book I). Your teacher cannot help you understand it. You either have the mentality of a geometer and “get it,” or you do not. In other words, it is a bridge which the asses have to cross on their own. When I was learning to drive I could not reverse into parking spots. The instructor despaired. That was my Pons Asinorum for that endeavour. Eventually, I got “some feel”, but I still often messed up. However, not since I got a car with a backwards pointing camera! I haven’t, but a metastudy on phytoplankton from MIT indicates that some species will die out, some will gain an advantage, and, aided by warming of the oceans, the distribution will change. Yeah, so let’s mess with the food chain that’s developed since the last disruptive event; undoubtedly the results will be nuthin’ but good. Get some water; your strawman is on fire. Dubious that the gene pools of phytoplankton will not provide the adaptiveness needed (IF, indeed, any is needed, this being as yet unresolved), should ocean ph change by undetectable increments. You see, SS, when generations are measured in terms of weeks, or sometimes days, the species is very adaptive to such change. Of course, my founding in the life sciences gives me this understanding. Strawman? Slip, you’re just frustrated because your pseudoscience has failed you again. (The “slippery slope” you try to stand on). Get on the right side of science, and you will not always be slipping down the slope. “Dubious that the gene pools of phytoplankton will not provide the adaptiveness needed”. Another strawman lumbers into view. I made no claim that they would not. Leaping over the now-burning strawmen, the original question is whether or not the pH of the oceans is decreasing, and it certainly is; increasing H+ concentration in the oceans is empirical fact. Buffering is a proportional, not absolute, effect. “Dubious that the gene pools of phytoplankton will not provide the adaptiveness needed”. Another strawman lumbers into view. I made no claim that they would not. Slipstick, do you know that people are laughing at you? Slip is his own worst scientist, but one of our funniest pseudoscientists. Are there any high quality thermometer stations that we have original readings for ? How do these compare with uah ? “High quality,” there’s the rub. Valentia, Ireland, on the Ring of Kerry, where my mother-in-law used to live, is one such. It is on a peninsular sticking out into the Atlantic, and the air is pristine. It shows ups and downs of a degree or two, in general temperatures, since 1869, lasting for a few years at a time, but nothing permanent. The last time I was there, was at the turn of the century, so I have not seen their charts recently. Wonderful, what a weblog it is! This blog gives useful data to us, keep it up. I left a carbon Management company in the Uk after discovering that AGW is a hoax. It’s all down to the sun over 100’s and 1000’s of years. Yes attack dangerous pollutants, but CO2 is insane. The late John Daly included Valentia in the list of historic weather stations, in remote places, with their UNfiddled temperature records, which he compiled into graphs. Just Google, “What the Stations Say – John Laurence Daly.” All the data actually came from NASA and the East Anglia lot. The links still work, although the charts are have not been updated since his death in 2004. You may look at them; and think whatever you want to think. There can’t be, because there is no global warming. Repeating that mantra, while it might make you feel better, does not make it true. Right, SS, thirty years. How’s The ocean acidification program going? I am not a scientist. It’s probable I should not be posting on this blog because I have nothing of substance to contribute, but I had a few questions about the things I’ve read and the claims I’ve seen here. While elementary, hopefully someone can take a few minutes clarify for me. I am not heavily invested in climatology but I am very skeptical of AGW for various reasons, the most prominent being its seemingly inseparable link to those using it to exert control and affect their political machinations/agendas. 1)I was having a little trouble understanding the significance of the graph. Would it be correct to interpret the 0.0 on the graph as representing the avg temp from ’81-’10, and the plotted red line as the yearly fluctuations above or below the average? 2)Was ’79 the first year we had technology capable of accurately monitoring the global temperature average? The 36 year period represented in the graph seems to me to be a rather small amount of time and data (compared to the climatic history of Earth) with which to be making conclusive determinations about anything. Do we have accurate data on the avg. global temperature change since the pre-industrial era; that would seem an important piece of context. Does the change in avg. global temp (I assume it has increased) raise any concerns, or is it negligible? 3) I’ve seen a lot of very different opinions here about what this graph seems to indicate. Some say it indicates a 30-year upward trend in warming, others say they see mostly flat, smaller trends and predict cooling to come. Is there an accurate way to interpret this graph or is this an issue of bias? 4) In the AGW movement, CO2 seems to be heavily vilified currently. In one of the articles at the heading of this blog, Dr. Spencer states we currently have about 390 ppm CO2 in the atmosphere, a rather small amount. Hypothetically, if we were to eventually double the CO2 content in the atmosphere from pre-industrial levels, to ~560 ppm, would this have a disastrous affect on the planet? Is there conclusive evidence anywhere that shows the GHG effect of increasing CO2 levels has a definitely positive(?) feedback? 5)I’ve also seen quite a bit recently about Methane (and how evil it is of course). Is increasing Methane emissions a significant concern? 6) In a lot of the reading I’ve done to try to educate myself about this topic. I am constantly seeing claims, made by those in the AGW ‘consensus’ to discredit skeptics, that the flaws in climate skeptic positions are that they cherry pick data, blatantly curve fit, ignore data that doesn’t conform, etc. Essentially you engage in illegitimate science. I would think it likely these types of flaws are present in all areas of science. Being in the minority on this issue, how do you defend claims like these? That’s all that comes to mind lately. Thanks in advance! Dr. Roy should be the one to best address your questions about UAH, but I was intrigued with item #4. There, you ask two questions. The answers are No, and No. — 1)I was having a little trouble understanding the significance of the graph. Would it be correct to interpret the 0.0 on the graph as representing the avg temp from ’81-’10, and the plotted red line as the yearly fluctuations above or below the average? First year global temperature was measured from satellites. In terms of question, I would guess the august ’81 temperature is related to a comparison between temperatures taken from balloons as compared to satellite temperature reading- or it was a point in time in which the satellite measure were calibrated with balloon temperature readings. which go back thousands and millions of years, which mainly about changes in chemical composition and/or biological markers related to temperatures. And ice core records of polar cap caps. Or basically they have a large possibility of error if one needs accuracy of say within 1 C. But pretty good in terms of capturing longer term changes of trends of temperature. For last 18 years it’s called the Pause, or temperature have not risen by significant amount. But you watching global temperature back in say 1998, it could have appeared that perhaps the rise would have continued. Many thought at the time it was going to increase much more, and it didn’t- which sort of why the last 18 years is called the Pause. though it seems that IPCC is hoping that somehow they will be come true in the future- or no attempt has been made to correct the future projections. It’s a fiasco that the IPCC bureaucrats don’t want to confront. Noob question…why is the average over 13 months? Aaaaalright. So if you chose 12 months the average would fall on the midnight from the 30th to the 1st so to speak. Yes, it would. An important point about “smoothing” is to get a simpler picture without losing the timing (phase) in the original data. That is why “centering” is required. Of course, the monthly figures are themselves averaged from the daily figures. I think one should not get too hung up on it. We are only looking for a general idea of what is happening. Some people look for more! and so it is just a bit of smoothing really. I have heard that there is a roughly six to eight month lag between El Niño warming at the surface atmosphere and the lower troposphere — important, of course, to understanding the coming claims of warmest ever in the preparation for the Paris Conference. Is that accurate? Also, do you expect the LT warming to be greater or less than the surface warming? dr. spencer . i believe global sea surface temperatures are satellite derived by noaa. are you aware of any issues in the data processing that could lead to errors ? noaa currently have the sea of cortez showing warm anomalies. the problem with that is the species of bait fish that have recently arrived prefer much cooler waters than the water temperature being indicated by noaa. the north sea on the east coast of the uk currently has surface temperatures around 3 c cooler than this time last year ,again the noaa depiction appears to show surface temperatures higher than the actual,though in this region there is a reasonably large temperature gradient from east to west (around 2 c) which may be lost in the low res image. The true and only reason for the pause is because the manipulators have run out of excuses to adjust the data, hence the reason why Karl et al looked for a different data set. No more excuses to jack up the SST so they just used the old engine in take data rather than ARGO. The point to all of this is to string out the suckers (i am looking at you David A)until the earth actually does begin to warm again thus maintaining the fallacy of AGW. However as they say reality bites, which is why we are now being told the cold weather is due to AGW, for example Tasmania coldest winter in 50 years, Victoria coldest winter in approx 30 years and the list goes on. And then we have that old chestnut “It may be cold where you are but trust us its getter hotter everywhere else”. Whilst people like David A inhabit this earth there will always be fools and money that need to be parted. ” ” ” August 2015 – 0.22 C.
using the stations they do i am surprised it is not higher. take out the uhi affected stations and i imagine the reality is somewhat different,as it is in the rest of the world. Sure looks like not much AGW going on for the last 15 years. Pause is an understatement. I’m sure we have pumped a ton of CO2 into the atmosphere the last 15 years. And not much movement in global temperature. What is the AGW fuss alll about? Sigh. in relation to my comment above relating to north sea temperatures off the east coast of summer,the temperatures are now dropping, leaving a peak for this summer 6c , yes 6c cooler than last summer. Spencer/Christie’s own data proves they are wrong. Even one mile up in the lower troposphere, temps have been increasing by University of Alabama, Huntsville results: http://nsstc.uah.edu/climate/ . Of course, no one lives in the lower troposphere, so to pretend that that data is more important than temps down here where people, plants, and animals live is misleading. The troposphere has warmed considerably since 1979, i.e., 0.4C, but surfaces temps on land and sea have warmed 0.7C. 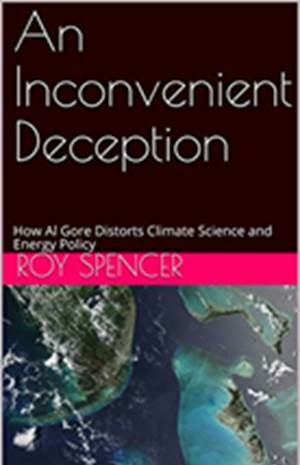 Spencer & Christie are in the 3% of denier scientists based upon the results of published research in peer-reviewed scientific journals. You don’t have to wonderful if an apocalypsis is coming. Just go visit California’s Central Valley, or the burned out wasteland just north of Napa Valley. You probably don’t remember the massive Midwest and Texas drought of 2012, the hottest year in U.S. history. Please, read and study science. Global warming is going to be much more destructive than you think. Your warmist friend shows only a very superficial understanding of the issues, but more of an acquaintance with the political talking points. 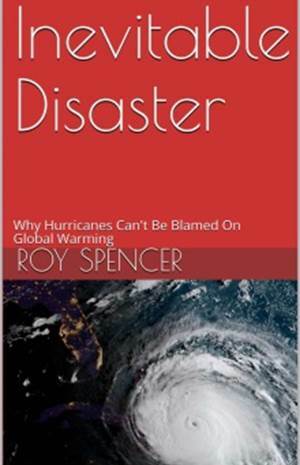 The idea that Spencer and Christie advocate that there has been no warming and that added CO2 would not contribute anything to warming is just plain wrong. They have repeatedly stated otherwise. 1.) Do you think temperatures have increased since the pre-industrial era? 2.) Do you think that CO2 has been a significant contributor to this increase? Roy has stated that he agrees with both of these points (so he is part of the 97%!) and I do too. But this really says very little. For example, I think that the amount of the warming is very likely only about half of what the “official” records state, primarily due to the corrupting warming from increased urbanization at many recording sites. And “significant” is not defined in the questionnaire, but in my professional technical work, I usually treat “significant” contributors to an effect as those that contribute at least 5-10%. A recent paper (Cook and Lewandowsky) puported to show that 97% of scientific papers agreed with the idea that a majority of warming was caused by increased CO2. Independent evaluation of the source papers showed that only 0.3% of the papers actually did this — the vast majority were agnostic on the subject. As to the lower troposphere versus surface temperature, mainstream AGW theory says that the mechanisms necessary to get significant warming require that the LT warm MORE than the surface. The argument is this: relative humidity will stay constant with warming, so absolute humidity will increase. Increased water vapor will absorb more of the IR radiation from the surface, at least doubling the effect of CO2 alone. But the increased water vapor at the surface will lead to increased condensation in the lower troposphere, releasing the heat of condensation more (and lower). The models say that this will lead to a tropospheric “hot spot”, particularly in the tropics. The problem is, neither the increased absolute humidity nor the tropospheric amplification has been seen, with multiple methods of observation (not just the satellites). The fact is that both droughts and wildfires have been trending downwards over the last century, both globally and in the US. This decade’s droughts cannot compare to the 1930s “dust bowl” drought or the the 1950s “continental drought” that I remember my father talking about when I was a kid. There have been wildfires in both the 1870s and the 1900s in the US that each burned an area the size of the state of Connecticut. This year’s fires are pikers compared to those. Fundamentally, the satellite temperature records that Dr. Spencer maintains are much more uniform across both time and space than the surface record, with much broader areal coverage and less contamination than the surface record. For your friend to maintain that the surface temperature can increase significantly more than the LT temperature requires him to disavow the very principles that would lead us to think this warming could be a serious problem. Roy, I am grateful for your scrupulous honesty in preserving the integrity of the data you produce. Now, back to the original programming.